"Don't get left out in the cold, take out our Heating Care Plan"
Our Home Cover Heating Plan gives you the peace of mind that in the event of a problem or breakdown a fully trained local engineer will be round to sort out the problem quickly. Whatever has gone wrong you won't have to worry about your home and family being without heat or hot water for very long. With two options to choose from we can provide the level of cover that best suits your needs. 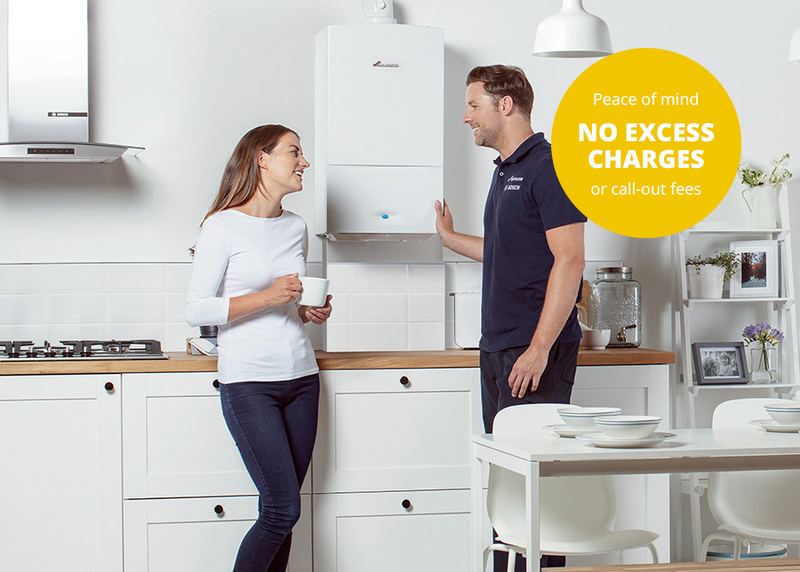 Whichever plan you choose you will enjoy several standard benefits including: a safety and maintenance inspection, an annual boiler service and priority engineer response to breakdowns. Just call our 24-hour helpline and we will soon be on hand to help. No excess charge. The Gold Heating Care Plan covers the inspection of a gas, oil or LPG central heating system as set out below. No excess charge. The Silver Heating Care Plan covers the inspection of a gas, oil or LPG central heating system as set out below. What happens if we cannot repair your boiler? Beyond Economical Repair - The point at which we estimate the cost to repair your boiler exceeds its value. If your boiler is less than 7 years old, a suitable replacement will be provided. If your boiler is more than 7 years old and you have had a continuous cover with Fords Home Cover for 5 years, we will contribute £450 towards the replacement of the boiler and the cover will cease. Our plans are payable as an annual fee or you can spread the cost over 12-monthly low cost instalments. Our simple terms and conditions mean you'll know exactly what you're covered for and won't receive any nasty surprises in the event of an emergency. NB There is no age limit for your boiler or central heating system for acceptance into the scheme as long as it satisfies the initial inspection criteria.